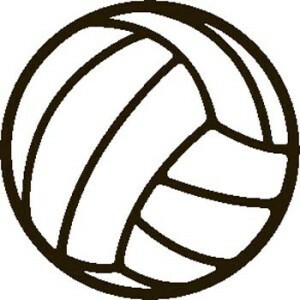 Cherry Hill Public Schools’ 12th annual Volley for Support doesn’t officially start until 5:30 p.m. on Friday, April 8, but students and teachers in Cherry Hill will be participating in the event throughout the school day. At this year’s fundraiser, all proceeds are being donated to the Juvenile Diabetes Research Foundation. In conjunction with the normal Volley for Support event, most of the schools in the district will be participating in JDRF walks. Students are being encouraged to raise funds at home and bring the money they collected to school prior to the walk. Redfearn is hoping this year’s Volley for Support becomes one of the largest in the event’s history. To do this, everyone from teachers to students to community members are being asked to donate money, goods or time in some way. Students in Cherry Hill schools have an extra incentive to fundraise. Many of the elementary schools set goals for the students. If the students meet their goal, they will earn some type of reward where their respective school principal will do something fun and goofy. One example from last year was at A. Russell Knight Elementary School, where students got to turn Principal Eugene Park into an ice cream sundae. “We realized having some type of incentive for them at the school level would help them come together as a community,” Redfearn said. Redfearn has also reached out to school, town and police officials to get community members involved in the walks. “We’re going to try to have a special guest come out to each of the walks,” he said. The walks during Friday’s school day will lead up to Volley for Support main event at Cherry Hill High School East in the evening. Teachers from every Cherry Hill school will compete in a volleyball tournament. Last year, the teachers from Carusi Middle School won first place. The teachers also chip in for gift baskets to be raffled off during the event. The gift baskets typically have themes and feature a variety of prizes. One of the big prizes from last year’s event was a Google Chromebook. T-shirt sales are also a big part of fundraising each year. Community members could purchase t-shirts about a month or longer prior to the event for $12. The t-shirt sales give community members free admission to the event. Redfearn said the goal is to raise about $25,000 this year. Last year, the event was very successful, with $20,100 being raised for Camp No Worries and Camp Erin. It was the second highest amount the event had ever raised, with the most coming in 2011 when it raised about $24,000 for Build Jake’s Place. Volley for Support is open to all members of the community. The cost of admission is $3, with people wearing a Volley for Support t-shirt being admitted for free. Visit Volley for Support’s Facebook page atwww.facebook.com/VolleyforSupport for more information.